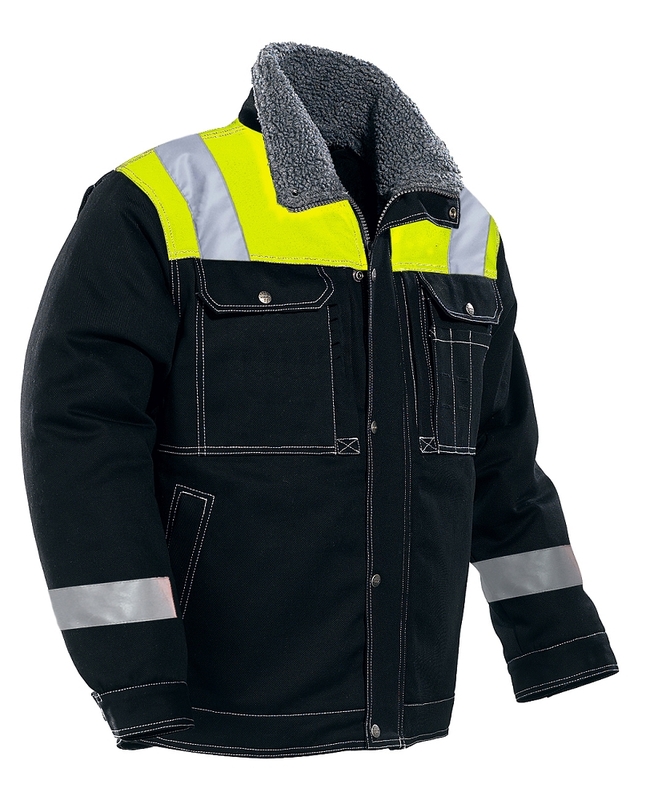 A warm winter JOBMAN jacket with reflective shoulders. 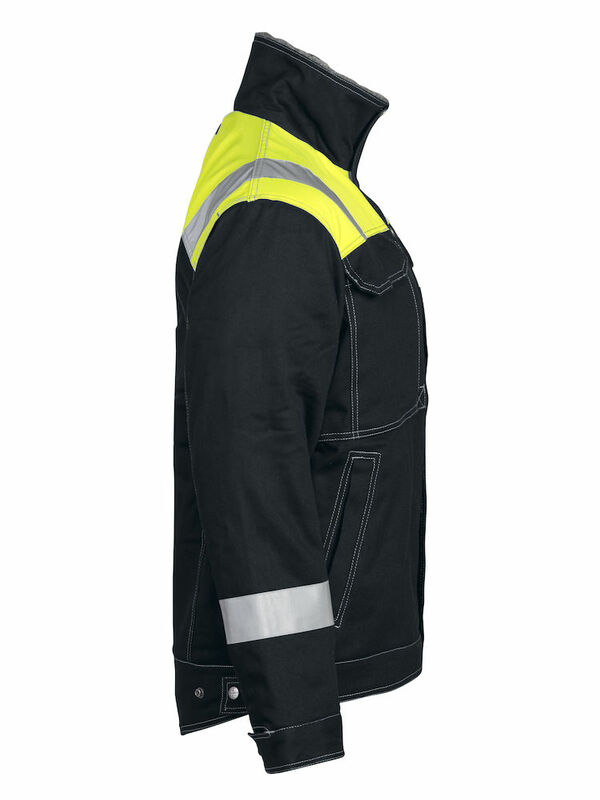 Stay warm and be seen. 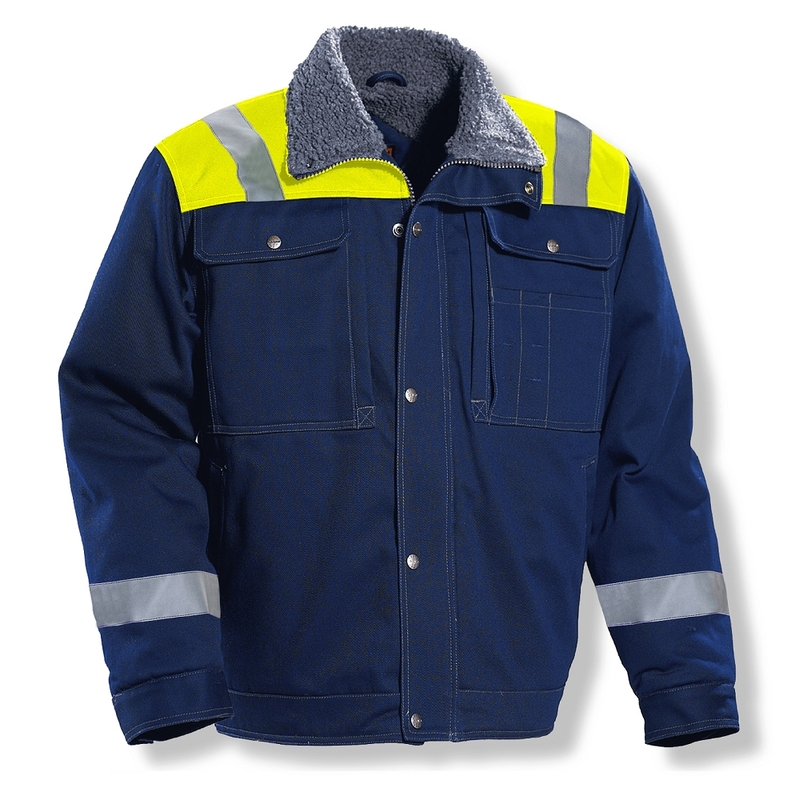 This jacket has all the JOBMAN Workwear goodies: Pile lining in body, quilted lining in sleeves. Right chest pocket with flap and phone compartment. Left breast pocket with extra compartment. Glove under breast pockets. Spacious front pockets. Inside telephone pocket. 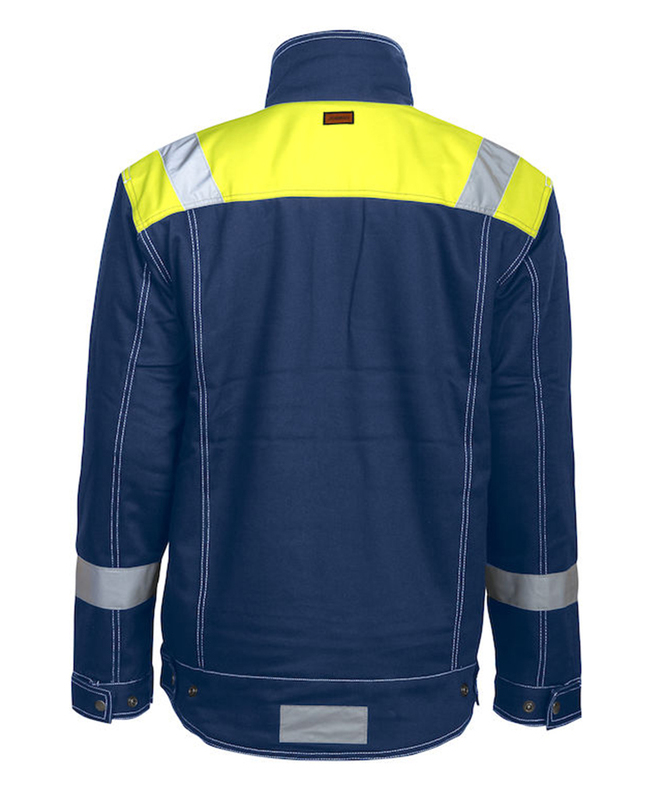 Double inner pockets. 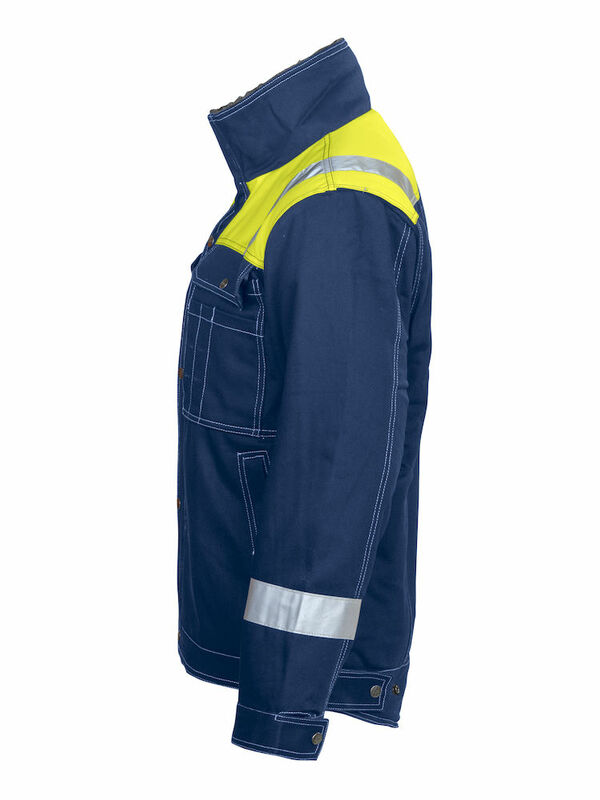 Extended back and adjustable waist and sleeves. Zipper with storm flap up to collar. 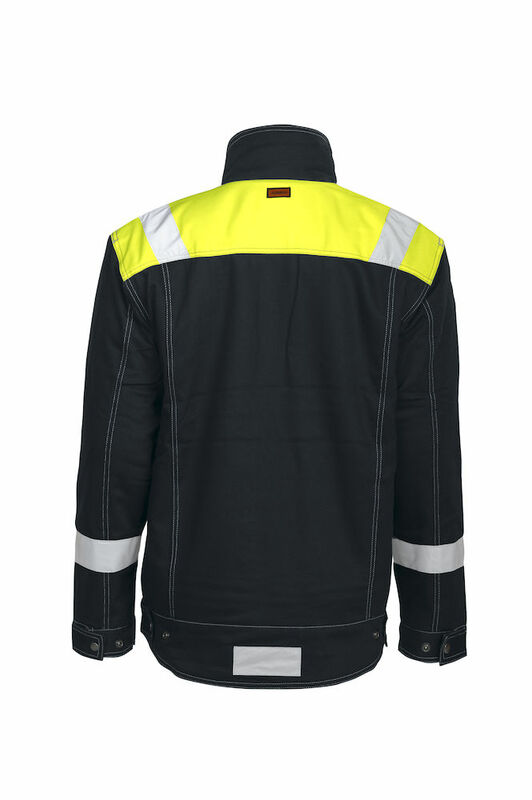 Fluorescent fabric and reflective strips on the yoke. Not certified to EN471.